Colin Welsh, , the Aberdeen-based head of international energy investment at Simmons and Company. The North Sea oil and gas industry is sleepwalking towards a liquidity crisis on the scale of Lehman Brothers, an energy finance expert warned yesterday. Colin Welsh, the Aberdeen-based head of international energy investment at Simmons and Company, also said the UK and Scottish governments were not doing enough to help the sector. But the head of industry body Oil and Gas UK (OGUK) said both administrations had shown their support, while Scotland’s energy minister said Holyrood would keep pressing the UK Government to provide support for exploration and production (E&P). Financial services firm Lehman Brothers filed for bankruptcy in 2008, having borrowed heavily to fund its investments, many of which were in housing assets. When the subprime mortgage crisis struck, the business suffered huge losses. The repercussions of its collapse went far and wide, causing havoc in global financial markets and intensifying the 2008 crash. Mr Welsh issued a stark warning about the oil and gas industry’s prospects of falling into a similar trap. The failure of E&P companies could have a “ripple effect” that would take oilfield service businesses “over the edge”, he warned. He used the recent closure of First Oil Expro (FOE) and the pressure that put on EnQuest as an example of how one business’s failure can have a visible knock-on effect. FOE was put into voluntary administration in February after its bank pulled out of lending on the basis of oil reserves, making refinancing impossible. It meant EnQuest had to up its stake in the Kraken development, splitting FOE’s 15% share with Cairn Energy. EnQuest reportedly hired debt specialists to help manage its portfolio. 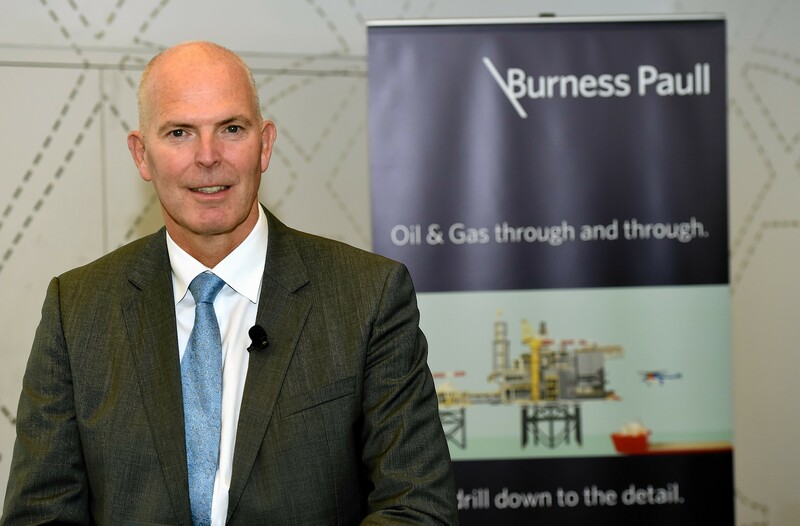 Mr Welsh, speaking at law firm Burness Paull’s second annual oil and gas conference in Aberdeen, highlighted the large number of companies supplying services for “massive” projects. There are signs the situation is becoming critical and immediate support is needed to avoid a liquidity crisis, he said. Mr Welsh added: “The liquidation specialists are heading north as we speak. Banks are getting incredibly twitchy and very nervous about the length of time it’s taking for any recovery to take place. He said he had already outlined his fears in a meeting with First Minister Nicola Sturgeon but “she just wasn’t interested”. OGUK chief executive Deirdre Michie said the Scottish Government was doing “what it can”, and praised the work done by the Energy Jobs Taskforce to help oil and gas workers facing redundancy. Ms Michie said infrastructure improvements expected to flow after the £250million City Region Deal and recent tax breaks also showed policy-makers were getting behind the sector. “When the governments have had opportunities to intervene they have done so,” she added. Energy Minister Paul Wheelhouse said: “The Scottish Government is doing everything within its powers to support oil and gas companies and their highly skilled workforces. A spokesperson for the Oil and Gas Authority (OGA), the UK’s oil and gas industry regulator, said there was a coordinated effort from government to support the sector. For its part, the UK Government has created the OGA, given the industry £2.3billion worth of tax breaks, and £40million towards seismic surveys.